The Mu-ji-man codes reporter: December 22,2013. The mu-ji-man codes will like to wish everyone a very happy holidays !!!!! as we celebrate the spirit of Christmas over the next week or so,I will like to invite everyone to take this time to look inward and reflect on the true meaning of what the spirit of Christmas can be. A brotherhood of man living in peace. The mu-ji-man codes will like to extend condolences to the family and friends of mr. Thomas(Tom) Laughlin,who passed away on December 12,2013. Tom was an actor,director,screenwriter,author,educator,political activist,dad and is best known for his series of Billy Jack films.from his wide array of professional activities,he no doubt touched the lives of many in the entertainment industry as well as the general population,he will be missed and remembered by his legions of fans around the world. Based on the information encoded into his birth date ,his mu-ji-man coded age was 86,he died at the age of 82 so he died 4 years before his coded age.we wish him a joyous and peaceful journey into eternity. The mu-ji-man codes will like to extend condolences to the family and friends of mr.O’Toole who passed away on December 14th,2013.Mr O’toole was a big movie star for many decades and he will be missed by his legions of fans around the world. 88 years old ,he died at the age of 81 so he died 7 years before his coded age. 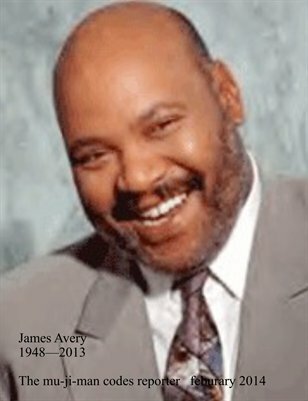 We wish him a peaceful journey into eternity. On this first anniversary of the discovery of the mu-ji-man codes ,I have a huge decision to make moving forward with the project,as more and more people become aware of the mu-ji-man codes ,I am receiving lots of requests for Personal readings, because everyone want some closure as to the departure of their loved ones,many are requesting readings for themselves and other living persons.As I have stated several times before, for ethical reasons I am not in a big rush to get into the death prediction business,eventhough Its very possible to use the tools available to determine when a persons death age or date will be.For now I am focused on doing analysis on, the deceased because the numbers are final and there is no argument with the final results,for now I prefer if anyone wanting to know when they will die,take the time to learn about the mu-ji-man codes system and its two companions ,the –mu-ji-man ruler and the mu-ji-man clock as well as doing some independent research on life expectancy for their specific country and understanding the statistics behind the internationally accepted number of total life span heart beats per billion as they relate to all human beings.Once some one is armed with the proper knowledge and you determine your mu-ji-man coded age as written in your birth date,you will discover that there is no mystery in knowing when you will die,if you are very skilled at analytics you may even pin it down to the precise day and date. Today ,I am officially announcing that from this day forward, all basic personal readings will be free to all who request one ,please see the website for what a basic reading consist off, when I say Free, I mean free,no catch no gimmicks , I will also do a free reading on a live person to determine their coded age but for now will not get into the death prediction business, however I will guide you to determine that for your self. Based on the volume of requests in the future, the reports will be posted on line where you can download or view the full reports,on a fee or donation basedsystem.you will also be able to view or download the mu-ji-man reports for your famous celebrity or anyone else for that matter in our data base. I hope you will take advantage of these free readings and share them with your friends and family so they too can do the same . One year ago I was sitting in bali Indonesia, enjoying the company of my family when the idea of “its all coded in our birth date” first manifested itself to me and I began to put my curious nature to work,with a balance of family time and seclusion I spent the days and nights scribbling and and studing the personal details of the deceased. One year later people from every corner of the world are logging on to www.themujimancodes.com and reading about this idea or theory that “its all written in our birth date”,that a persons birthdate is encoded or pre coded with all sorts of information that will affect the individual as they move through life. 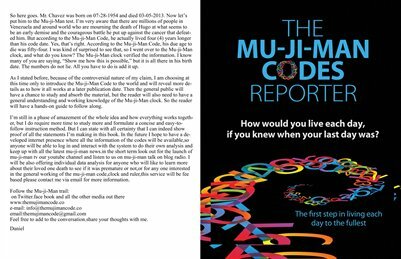 The mu-ji-man codes is an ongoing project and there is yet much to be learnt and to be discovered as time progresses.so on this one year anniversary let keep spreading the word and who knows what we will discover by the next anniversary. The mu-ji-man codes will like to extend condolences to the family,friends and the entire nation of south Africa on the death of mr.mandela.Mr Mandela physical light may be extinguished today but his spiritual light will be eternal,we are very blessed that mr.Mandela was granted a long stay on his earthly journey to guide and teach us humans the true meaning of humanity, and being a true example of what we all should aspire to be. Today is a day when every living human has lost a little piece of themselves,because mr. Nelson Mandela in some fashion has touched the life of every living being on this earth,the earth is a little darker and colder with his passing but his spirit will forever be a fuel used to light the way for future generations. South Africa and Africa as a whole has lost their favourite son but the entire world has lost a friend and mentor.Even the animals in the jungles of Africa are mourning his passing,the trees in the forest are swaying and bending in respect to his passing,the birds are chirping and the wind itself has stood still in honor of him,for he was a giant that was careful not to crush the ants beneath his feet but walked carefully amongst his flock guiding and protecting them with his love and wisdom. Earlier this year when mr. Mandela was hospitalized there was lots of talk about his impending death,there were even a few erroneous reports of his passing,although I have made it my policy not to get into the death prediction business and I will continue that policy ,I felt that I would ne negligent if I did not work on mr.Mandela’s mu-ji-man codes ,so at the time of his first hospitalization period I decided to look and see what his birthdate codes revealed.late Wednesday night dec.4,I saw on tv that they were again talking about mr. Mandela and his prospects,so I once again looked at his numbers and as earlier in the year I saw what his numbers revealed that it was not likely he will make it past this month. -3 years before his coded age. We wish mr Mandela gods speed on his journey and may god bless,protect and guide him as he enters a new realm of existence,but most of all we thank god for granting us this time to be in the presence of a true champion for peace,justice and equality. IMAGINE: 33 years since the death of John Lennon. John was a light that was to shine for a short time physically but the effects of his light will live on forever,I was a very young man when john lennon died and today as an old man I am still touched by his music,especially one song in particular,Imagine . These are some very powerful lyrics and I wish there was a button I could press and burn each and every word into the conscience of every living being,but that’s a wishful dream so instead I will hope that as the earth become more engulfed in the rampant consumerism,hate,and wars amongst the populations of the world ,some how, some way, may be not all of the people but some of the people will stop,back up for a minute and ask the question,is it worth it to spend my entire earthly existence in chase of materialism ? let all hope so. There can be no peace until we all wake up to the idea that we are all one and we must all strive to become h-a-g-e-e-l free ,so we can all live as one. he died at the age of 40 – 2 years before his coded age. But I long for the world to be as one,live as one brotherhood of man ,with out greed and hunger. Try to be h-a-g-e-e-l free you will see. On behalf of the mu-ji-man codes, condolences to the family and friends of ms.Anna Mendoza. Anna Pacheco is the grandmother of my oldest son Daniel,the mother of my first wife Veronica Pacheco . Over the past year I have worked on the mu-ji-man codes analysis for hundreds of people and the numbers are what they are I cannot change them so I spend the necessary time it takes to be sure that I get the numbers right , but this one is personal because this is a person I have known for a very long time and every digit I calculate had a personal meaning,so I spent the entire day analyzing and re analyzing my work before doing this post. One year sooner than coded ,but looking at her month of birth she actually died about half a year before her coded age. To all the family especially the kids,I know this is a difficult time, losing a loved one is always a sad event in our life, especially someone so near and dear to us, so its ok to grieve,cry or even be sad or depressed but after that period of grief we must all move forward and move into the phase of celebrating the life of our loved one,so I encourage all of us to celebrate the person nana was and to live the rest of our lives in memory of her and the good spirit she is, by striving each day to become h-a-g-e-e-l free,so at the end of our time we too will be missed and leave this earth in a positive light. May god bless,protect and guide nana on her journey and may she rest in peace. Feel free to contact me if anyone will like to learn more about nanas mu-ji-man codes numbers. The mu-ji-man codes reporter: (Paul Walker) 1973 – 2013| GONE TOO SOON? The mu-ji-man codes will like to extend condolences to the family,relatives and friends of mr.Paul Walker who died on Saturday in a fiery crash in southern California he was 40 years old.Paul was well known for his role in the fast and furious movie series and will be missed by all. Here at the mi-ji-man codes, our role is not to repeat the headlines as they appear off the news feed so we will leave it to the regular 24 hr cycle, media outlets to dissect his movie life and show all the entertainment aspects of his last 40 years.The mu-ji-man reporter is dedicated to examining the actual personal data from deceased celebrities and others to see if they indeed died as they were coded to or weather they died before or after that coded age. So as we look at yet another young ,handsome ,successful and famous young person snuffed out from the wheel of life at such an early age ,we are once again left with the question “gone too soon ?”,and as I read all the articles from the various outlets and the comments posted on social media from his friends,family and the general public,I see a common theme,shock,disbelief,grief. I too understand these reactions because as humans we just cant believe that the universe will be so cruel to deny us so many years from our aquaintances earthly presence. As I get deeper into the mu-ji-man project I am beginning to train myself not to be shocked or be in disbelief anymore when I see or hear of the death of a famous or non famous person, as a mu-ji-man codes reporter I now approach the news of such deaths as a time to reach out to the families, by immediately reviewing their person data to see if they died when they were coded to and if not, get a sence of how far off they were from that coded date.I realize that in a time of grief, the last thing a family member want to hear is that their loved one died at,before or after their coded age but as the grief wears off everyone looks for some closure to deal with their loss,my posts are intended to help bring some closure to the families and friends of the deceased but I also hope that the day will arrive when everyone will know know their coded age so we as a society will not be as shocked by mr death and the efficient way in which he goes about his task,but that’s a topic for another day,lets take a look at what mr.walkers mu-ji-man codes revealed. His birth date 09-12-1973 and his departure date 11-30-2013,these dates are significant because they reveal much about the person and all those revelations are all coded in the birth date.within his birth date, is coded what we call his coded age,that is the expected life span age for him,in his case his codes revealed that age is 41,he died at age 40 so it appears that he died (1) one year before his coded age but if you look a little closer and you include the time in the womb he died exactly when he was coded to.here at the mu-ji-man codes our role is not to judge anyone as to their lifestyle or decisions that may contribute to their death, because I am still struggling with the idea that all that behavior and decisions is also coded into us by mother nature to achieve the final result. In closing I will like to invite all the readers to take themu-ji-man codes birth date challenge, and look at his birth date very carefully,see if you can figure out the coded age and even the death age ,take the plunge do a little simple math see if it makes any sense to you,I will also like to invite any one interested in a more detailed explanation of my analysis to feel free to contact me via the contact page on the www.themujimancodes.com.